So the team here at Your Move Doncaster are delighted with another fantastic year of house sales, Lettings and Mortgage business and we are very optimistic about the year ahead despite the political uncertainty. By offering our sellers two distinct ways to sell their properties, we have listed even more properties than we could of hoped for in 2019. It must be the 0% fee option we can offer! Call us now to find out how you can get a 0% fee but not compromise on the final amount your property will achieve. Due to fantastic marketing we offer, we are attracting more buyers than ever. This will help guarantee the best price for your home. 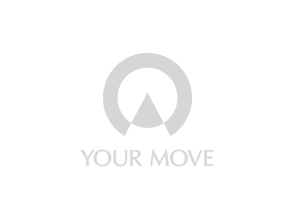 Our team at Your Move Doncaster combines a healthy blend of enthusiastic sales and lettings people and experienced personnel with a combined industry experience of nearly 100 years. We cover a wide area in and around Doncaster, providing services to the town centre and the outlying villages. The area has a range of houses and flats 'For Sale' and 'To Let', which are suitable for buyers and tenants of different budgets. We offer tailor-made packages to suit any potential sellers and landlords requirements and offer professional photography package to enhance the marketing material of your home. Please call in to see us and discuss how we can make a difference to the way your property is marketed. There is no better advertising for us than a 'Sold' or 'Let by' board!